About half the patients taking immunosuppressive drugs to keep their bodies from rejecting organ transplants could be weaned from this regimen, according to researchers in Germany. “I’m not suggesting you try this on all patients,” said Elmer Jaeckel, MD, of the department of hepatology and endocrinology, Hannover Medical School, Hannover, Germany, reporting at the International Liver Conference in Vienna, Austria today. But in carefully selected adult liver recipients, Jaeckel and colleagues were able to wean 41 of 102 patients from the immunosuppressive (IS) medications. 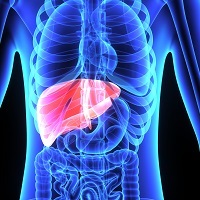 They did that by monitoring patients’ signs of rejection (or lack of them) by doing repeated liver biopsies. They used immunophenotyping and transcriptional profiling to chart any possible rejection response.. Liver samples were collected before the initiation of IS withdrawal, at the time of rejection, or 1 and 3 years after complete drug discontinuation. In a parallel analysis, the team looked at these patients’ peripheral blood. The number of liver infiltrating T cell subsets did not differ at baseline between patients who rejected their donor organs and those who successfully discontinued IS. But to the team’s surprise, the tolerated grafts exhibited portal tract expansion with increased T cell infiltration despite normal transaminases and no signs of rejection 1 year after IS withdrawal. This was associated with preferential accumulation of CD4+Foxp3 cells, a shift in the CD5/CD8 ration that suggested additional deletional mechanisms were at work. The inflammatory gene signature returned to baseline 3 years after IS withdrawal. The finding should be considered in any clinical studies aiming at achieving allograft tolerance in organ transplantation, Jaeckel said. “I believe we are over-immunosuppressing a lot of these patients,” Jaeckel said in discussing his paper at the meeting. The reaction was mixed. At the Vienna conference, one Austrian transplant surgeon said she doubted her patients would want to exchange the convenience of taking a single pill of an IS drug daily for regular liver biopsies, not to mention the risk of rejection. Asked for his response to the study, David Riech, MD, chief of the division of multi-organ transplantation at Hahnemann University in Philadelphia, PA, said in an email that the work was exciting—but also risky. “Transplant tolerance is the holy grail,” Reich said. As of now there isn't a reliable way to predict who can stop immunosuppression though most recipients become more tolerant of their graft with time. “The standard of care is to lower dosing over the first few months after transplant and thereafter maintain low dose therapy lifelong, “ Riech said. Though there are promising genetic assays in development that predict rejection based on serum biomarkers, clinical use is many years away.